The fairy tale-themed winning campaign shows Napleton as a cheery respite in an otherwise scary and intimidating world. Only two or three students in professor Allen Smith's Principles of Advertising class at Florida Atlantic University had ever bought a car. More than a quarter were from foreign countries and most knew practically nothing about how car dealerships operate. They were just the sort of young automotive outsiders that managers at Napleton Nissan & Kia in Riviera Beach, Fla., wanted to help shake up the dealerships' marketing plans. Jay Buick, the stores' business development manager and a former adjunct instructor at Florida Atlantic, contacted the university's College of Business. Smith agreed to make Napleton the focus of a class project for the spring semester. The stores, in separate buildings on the same property with the same top managers, offered the students cash incentives totaling $1,500. The dealerships are part of the family-owned Napleton Automotive Group, which has 31 locations in Florida, Illinois and Missouri. "One of the things they were looking for was to get inside the head of the next generation of car buyers so they could figure out what kinds of approaches might work better," said Jim Gray, who approved the project as chairman of the school's marketing faculty. "Some of the student ideas were a little bit off the wall, but some of them were right on the money." The students, working in seven teams, spent 14 weeks developing campaign proposals and researching Napleton, its competitors and the auto industry. They presented their ideas to the dealerships' managers, who were so impressed that they incorporated some of the work on the store's Web site and plan to soon use a radio spot produced by the winning team almost verbatim. 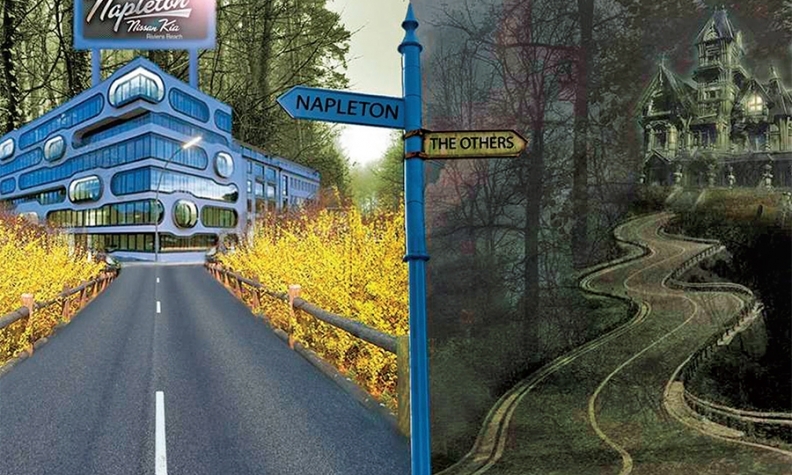 The winning campaign, whose creators split the $750 top prize, has a fairy-tale theme portraying Napleton as a friendly, cheery and honest respite in a world in which car dealerships often seem scary and intimidating. "It was definitely refreshing for us to get their perspective, and they did a great job," said Glenn Grosso, the stores' general manager. "It's very competitive out there, and everybody's doing the same thing. Every ad is the same. That's why we were looking for something different." Grosso said he was intrigued by several of the students' ideas, including the suggestion that the stores set up a concierge service to help potential buyers navigate financing options and other confusing aspects of a purchase. The students also urged the stores to break from dealers' common practice of luring in customers with prices that end up being much lower than what buyers really pay or qualify for. "Their perspective was that you don't have to offer the lowest price -- just be upfront and be honest and gain trust that way," Grosso said. "They found that it was very difficult to really find the price you had to pay for a car." But Grosso said he's reluctant to lessen the focus on price too much because his experience shows that's still the factor that brings shoppers in the door. Aaron Ahlum, a 25-year-old senior who helped develop the fairy-tale campaign, said he thinks consumers are attracted to dealers who treat customers well and have a transparent sales process without surprises. The theme aims to convince consumers that the Napleton stores provide the sort of car-buying experience "you could only dream of," he said. "It's not like it used to be, with everyone having so much information accessible on smartphones, blogs and social media," said Ahlum, a marketing major. "They're really going to have to start being a lot more creative to capture this ever-changing market." Smith, the professor, said the students spent considerable time talking with employees at Napleton and other dealerships as part of their research and were surprised to discover that few salespeople could articulate a cohesive marketing message for their company. "They found out most people didn't know anything about the brand strategy at all," Smith said. "They knew the gas mileage and horsepower and all that but not the concept of the brand itself." Besides the radio spots, Grosso said the project produced some useful data. He said he's eager to do something like it again, and it would be worth offering larger incentives next time. "Over the years, I've paid some pretty good money for marketing reports," Grosso said, "and I got more out of this."